The #1 platform to discover the best products on the market. Over 25M people per month stay up to date with the latest product releases and crowdfunding projects. PAWSOME! TIKR made the list... "Top 5 Picks: Best Dog Puzzle Toys". It's an absolute honor to be in the company of KONG! Special thanks to the crew over at Woof Whiskers for the great review! 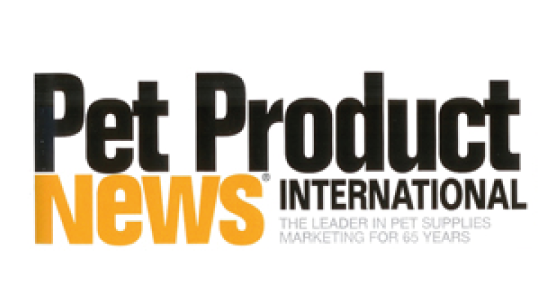 TIKR was recently featured in Pet Product News... thanks gang! We love hearing what our users have to say about TIKR! Special thanks to Michael Duplay with Insomniac Reviews! Thanks again Rich for the great review! TEEEKER! We are honored to have TIKR selected and featured on HSN - American Dreams! Not a bad way to kickoff 2018! Such and amazing and supportive staff. Can't wait to go back! Special thanks to Brian Glenn and Bob Circosta for making it all happen! We are very excited to announce our partnership with THE GROMMET! Check out our listing here! Noah "Wuv" Bernardo (drums) - P.O.D. Special thanks to Brian Glenn (Brian Glenn Entertainment) & Backstage Artist Lounge for making it all happen. Great article from The Dog Geek... thanks guys! You NAILED it! If you've not had the chance to visit Bulbhead's site (www.bulbhead.com), we highly recommend you do so. Lots of innovative stuff... soon to include TIKR! We're pleased to announce our partnership with In The Company of Dogs (ICOD). TIKR will be placed in their Spring Catalog (1 million household reach) as well as being featured on their website. Look for TIKR there soon! Not only will TIKR ensure dogs remain active and happy, TIKR also helps ease anxiety! Seems like a perfect match. We're planning to partner with local Shelters ASAP. If anyone in the Dallas area knows of any Shelters we should approach, we'd love to hear from you! Looking mighty tasty we must say! Mud Bay began in 1988 when Elsa Wulff bought a tiny farm store. The store was housed in an eighty-year old building on Mud Bay, which runs west of the Olympia and spans the bottom end of Mud Bay, one of the southern arms of Puget Sound. During Mud Bay's first decade, the company grew by giving things up. Item by item, the company eliminated everything that wasn't made for animals. No more pop tarts. No more fertilizer, no more oysters! As big box retailers filled with merchandise for hundreds of species of pets were sprigging up from coast to coast, Mud Bay was one of a small group of retailers who were doing something quote different. Instead of carrying supplies for every pet, Mud Bay focused on Dogs and Cats. And instead of carrying "everything" Mud Bay focused on highest quality - best in breed if you will! And they've continued their pursuit of excellence by introducing TIKR into their stores! TIKR will make its way into their locations starting in Q1 of 2017! If you have not visited one of their stores, please do. You won't be disappointed. Click HERE to view their store directory. TIKR has landed in our warehouse! We could not be more excited... our first 5,000 TIKRs have FINALLY landed in our warehouse! We're now preparing for the packaging process. We own the machine which certainly helps speed things along! TIKR will soon go out into the world for all dogs to enjoy... get excited, TIKR is coming! We're pleased to announce TIKR will soon be carried within 70+ stores across the country. TIKR will also be featured in their upcoming SPRING Pet Category Catalog (nearly 2,000,000 total household reach). If you've never been to an ORVIS location, check them out... click HERE for store locations. Extremely friendly & knowledgeable staff. Not to mention, tons of great & unique products to choose from! Appreciating how purposely picky ORVIS is regarding the products they carry, on many levels it's an honor to be part of the ORVIS family!